I have to say we are really lucky as living in Hong Kong even thought it is only a small city, it's easy for us to reach different culture such as Le French May. Yesterday while in the black rainstorm signal date, I 've visited Comix Home Base (7 Mallory Street, Wanchai, H.K. 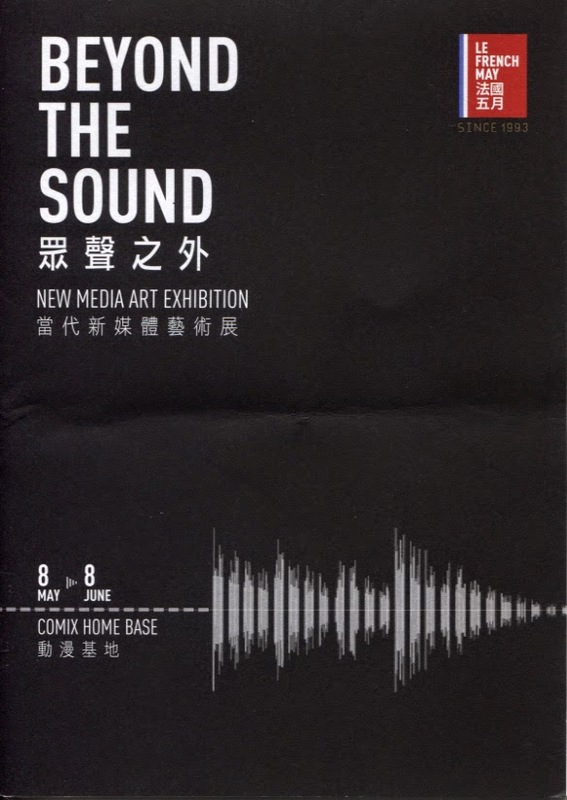 ), an exhibition : Beyond The Sound was held there, a scheduled exhibition for myself in this May. It's a small exhibition hall which was transformed from a Grade 2 historic tenement houses, so the original structure of the building that were reserved are worth visiting. Although each floor area is quite small, it's good fit for such kind of extraordinary exhibition that require an individual and isolated space. 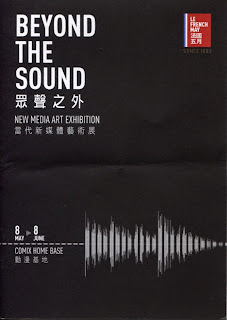 Usually I won't have high expectation to new media or arts exhibition because I am not an expert or well trained in these fields, but this time it is a bit of surprise. There are total 17 pieces of art related to sound, most of them are found on 3/F, may be it is so true that "sound" is no boundary like "music", you can easily touch and driven by their presentation. The no8, 11 and 13 are my favorite pieces, especially no. 11 - Distorsions by Pierre Laurent CASSIERE. I was so lucky that the black rainstorm resulting minimum visitor, so I can occupy the whole room by myself and feel how those three stainless steel liquify the concrete building under it's roar......very interesting and unforgettable experience. For the others, I will leave them to you. A highly recommended exhibition that is worth to take a walk, enjoy !